Hi, this is the owner Robby. I am getting into a new industry and need to free up my time and resources but I loved the laundry business. This area in Whittier is hot! Not only is my laundromat busy but the other ones are as well. It consistently brings in $22,000+ a month min revenue. 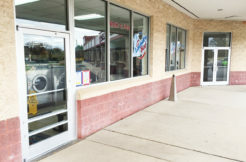 The store was completely renovated in 2016. With all new machines (except 4 in the back) and I just repainted and put new floors in. I set it up to be as hands off as possible. There is a guy to collect the money, a girl for payroll and to manage employees, machine repairs, supplies get delivered, and vending machines get supplied and collected. And I just set up a overseas security monitor to watch store remotely and call police if necessary for night hours. The profit numbers are including paying all these services to run more passively. If you did things more conventionally you would make even more profit. Also, there is room to improve the bottom line for a more hands on owner. (I haven’t advertised in over a year!) Also I am including everything you need for a fluff and fold business. Computer, scale, printer, rack, bags. When you buy you will get everything that comes with the store plus I can train/help you for the first month or so. I am not using a broker and would prefer to deal straight with buyer so we both saved money. The reason its so cheap is I motivated to sell quickly. Email robbybechler@gmail.com and we can set up a time to chat and I can answer all your questions. Thanks have a good one!